The Customize Windows > Computer and Internet > Hardware > Which Kind of Multimeter Electronics Beginner Should Buy? Which Kind of Multimeter Electronics Beginner Should Buy? Which Kind of Multimeter Electronics Beginner Should Buy? What Marketing Words to Avoid? Important things to check whether the multimeter can measure capacitance ($3 multimeters usually can not), calculate the gain of transistor, LED Flashlight, Screen Backlight, Auto power off, USB cable and software for PC, Mac, Android, iPhone etc. Bluetooth, Wi-Fi are good to have for Android connectivity. $3 China Multimeter has no buzzword. They lack several features including capability to test capacitors. Marketing words start from $30 multimeters. CAT III, CAT IV at bottom : It is actually important for those who works with AC lines of more than household supply. Those are are safety standards. True RMS : Usually written on body. It is pathetic buzz words which works – we see review of multimeters giving importance to it. It is actually for AC supply. RMS is root mean square for AC’s sine wave. For 220V AC supply, the zenith and nadir can be +270 and -270. 4000 Count : The thing can display 3.999 before becoming 4.00. Of course it sounds obvious. They want to say that after 3.999 their meter will become two digit after decimal. 4.01, 4.99, 10.99 etc. They can not show 7.999. Auto-ranging : It is actually not buzzword. It meanings, unlike $3 multimeter, precise dial to 1000 Ohm, 10 Ohm etc not needed – their meter has single point to rotate to set and measure resistance. The adjustment is automatic. NCV detection : Ummm, their meter can detect live AC plug without probe, if the unit brought closer. LCR Tester : Inductance (L), Capacitance (C), and Resistance (R). Silly. Real LCR meter actually professional grade and costs huge. We can not suggest much as with increasing Android apps and open source developments, it is not astonishing that a good multimeter will appear outdated after 5 years or so. Which Kind of Multimeter Electronics Beginner Readers of Your Blog? 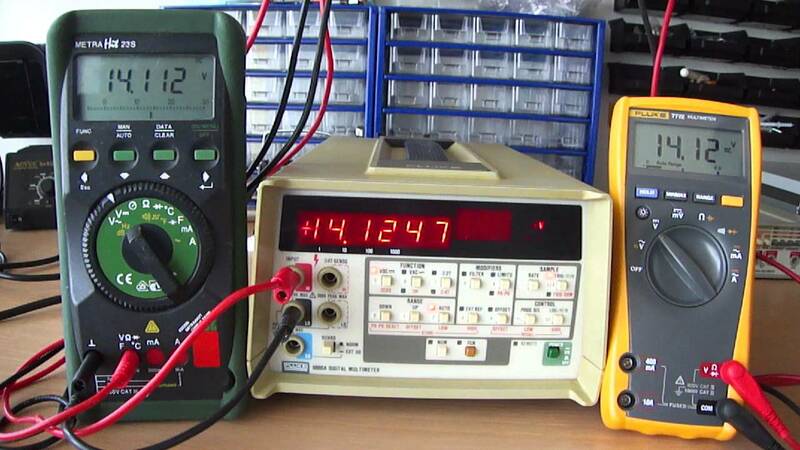 $3 multimeter is enough for basic works as long long you are following others guides, slightly modifying them. Your usage is just estimating values of resistors, value of battery, voltage fluctuations, hardly current of some pins. As we told before – you are commonly using modules, shields. They are nicely tested. Your work mostly connecting them, programming. $25 – $50 required for works where $3 is not sufficient – like you need somewhat idea of capacitor, measure current in milli units. When you are working with SMD components and publishing circuit design of PCB of module, you really need a good multimeter from Fluke, or may be a benchtop multimeter. Good multimeter needed when minor error may decrease lifespan of costly IC, microcontroller etc. This Article Has Been Shared 7503 Times! Articles Related to Which Kind of Multimeter Electronics Beginner Should Buy? Here is Circuit Diagram, Code, List of Components & Demonstration Video of Arduino Door Bell With Push Button With 3 LED. It is easy project. Here is Arduino IR Obstacle Detection Sensor For Dimming LED to Stop Event Facing an Obstacle. Normally, We Use IR Obstacle Sensor to Initialize an Event, Like Lighting Up LED. We Can Do the Reverse. What Are RX/TX LEDs and Pins on Arduino Boards? What Are RX/TX LEDs and Pins on Arduino Boards? Why They RX/TX LEDs Blinks Upon Code Uploading? How History of Terminal Relates to it? What is Logic Analyzer? What is Use of Logic Analyzer? What is Logic Analyzer? What is Use of Logic Analyzer? Is it a necessary equipment for a leaner of electronics? Title: Which Kind of Multimeter Electronics Beginner Should Buy? Cite this article as: Abhishek Ghosh, "Which Kind of Multimeter Electronics Beginner Should Buy?," in The Customize Windows, May 26, 2018, April 21, 2019, https://thecustomizewindows.com/2018/05/which-kind-of-multimeter-electronics-beginner-should-buy/.